1st Of April, 2019, Mark Ribarsky. 2nd Of January, 2019, By Mark Ribarsky. We look at how a buyers agent can helps seniors purchase the right property to suit future needs and how they negotiate a better deal. 5th Of December, 2018, By Mark Ribarsky. Melbourne property market outlook: 2019. Our lead buyers agent gives his tips on next years property market & if it’s a good time to invest. 5th Of November, 2018, By Mark Ribarsky. Owning an investment property more trouble than it’s worth? The problem could lie with your property manager rather than the property. What Is The Best Suburb To Invest In, In Melbourne? 4th Of October, 2018, By Mark Ribarsky. Smart property investment lets you find the best investment suburbs fit for you. Our top buyers agents shared their top tips of where to buy. 3rd Of September, 2018, By Mark Ribarsky. A lot of investors are talking about buying property under market value, we look at tips buyer’s agent use to spot a great property deal. 17th Of August, 2018, By Mark Ribarsky. Buying a house can be stressful & time consuming. Let our agent’s for first home buyers in Victoria take the pressure off you in the search for your next home. 1st Of August, 2018, By Mark Ribarsky. Prices are falling, so is now a good time to buy property? Real Estate commentator & buyer’s agent Mark answers the tough question. 20th Of June, 2018, By Mark Ribarsky. Do you understand the difference between a buyers agent & a real estate agent? We look at they contribute to the real estate transaction. 26th Of May, 2018, By Mark Ribarsky. Why pay so much money for a buyers agent when any one can buy a house. Wise Real Estate Advice looks at the pros and cons of using a buyer’s agent. What Is A Independent Property Buyer? 16th Of May, 2018, By Mark Ribarsky. We offer our clients independent & impartial advice on buying real estate. We look at what an independent buyers agents means & why it’s important. 19th Of April, 2018, By Mark Ribarsky. Are agents allowed to lie about multiple offers or under quoting price? Our lead buyers agent shares his experiences with real estate agents. How to negotiate a property deal like a real estate agent. It’s time to look at the ins & outs of getting the best deal when buying a property. 31st Of March, 2018, By Mark Ribarsky. Wise advice to guide your 1st investment property is crucial step to gain equity to build your empire, get some tips from Melbroune’s experts. 15th Of March, 2018, By Mark Ribarsky. Free advice on buying a successful investment property in Melbourne, our buyers advocates share the investors recipe for success. 28th Of February, 2018, By Mark Ribarsky. Free advice & tips on marking money using property subdivision. Build your portfolio by positive gearing property with Wise Real Estate Advice. 26th Of February, 2018, By Mark Ribarsky. We’ve created an information guide to making sure your vendor advocate is qualified for the job of effectively buying you a great property. 23rd Of February, 2018, By Mark Ribarsky. Are holiday homes a good or bad investment? Make the RIGHT financial decision with FREE advice from Wise Real Estate Advice buyers advocates. 21st Of February, 2018, By Mark Ribarsky. Buying a house in Melbourne presents a number of challenges, Wise Real Estate Advice offers a few tips that will help you get into the market sooner. 19th Of February, 2018, By Mark Ribarsky. 14th Of February, 2018, By Mark Ribarsky. The big questions is what do property buyers want? Melbourne’s leading buyers agents discusses the top 8 property features buyers pay more for. 12th Of February, 2018, By Mark Ribarsky. We all know property values rise for real estate in good school zones. Our buyers agent looks at four reasons why school zones increase value. 6th Of February, 2018, By Mark Ribarsky. Wise Real Estate Advice look at 6 tips on attracting great tenants that will look after your property & maximise your rent long term. 2nd Of February, 2018, By Mark Ribarsky. 31st Of January, 2018, By Mark Ribarsky. Melbourne’s leading commercial buyers agents specialising in searching, assessing & negotiating the successful purchase of commercial property. 23rd Of January, 2018, By Mark Ribarsky. Buy both residential and commercial property using your own super a SMSF. Wise Real Estate Advice explains the main rules and how to buy with a SMSF. 18th Of January, 2018, By Mark Ribarsky. 6 Reason Why Property is a Safe Investment. 15th Of January, 2018, By Mark Ribarsky. Are you afraid of investing in property? Our Head buyers agents looks at the top 6 reason why his customers find security in property. 4th Of January, 2018, By Mark Ribarsky. Wise Real Estate Advice buyers advocates will talk through a few strategies that you can adopt as a potential buyer so that you are able to stay competitive without blowing your budget. 20th Of December 2017, Mark Ribarsky. 12th Of December 2017, Mark Ribarsky. Commercially leased property is an agreement between the landlord and tenant about the rights and responsibilities of a commercial premise. 6th Of December 2017, Mark Ribarsky. There are a few selling agents that adopt techniques in order to get the buyer over the line. Our Buyers Agents look at the top 5 white lies. Where will the Housing Market be in 2020? The question everyones asking ‘Where will our property markets be in 2020?’ We look at each capital city consider a boom or bust in prices. 30th Of November 2017, Mark Ribarsky. It can be formidable to negotiate on a price of a property that has not sold at. Our buyers agents offer some wise advice on the process. 28th Of November 2017, Mark Ribarsky. Why real estate agents constantly underquote prices of properties? Our buyers agents reveal the top reasons as to why they underquote. 22nd Of November 2017, Mark Ribarsky. Our buyers agents shows us how Victoria Terrace houses are still continue to amaze us with their beauty. We also look at their pros & cons. 17th of November 2017, By Mark Ribarsky. So, what is the key to making a prior offer on a property? The following are a buyers agents 5 tips helping you stay competitive. Help buying an apartment in Melbourne. Need help buying an apartment in Melbourne? Apartments are relatively cheap, low maintenance, located close to great amenities & infrastructure. Don’t Blame Housing Shortage For High Property Prices. Wise Real Estate Advice examined construction of residential property over 3 years discovering that national supply was higher than usual. 9th of November 2017, By Mark Ribarsky. 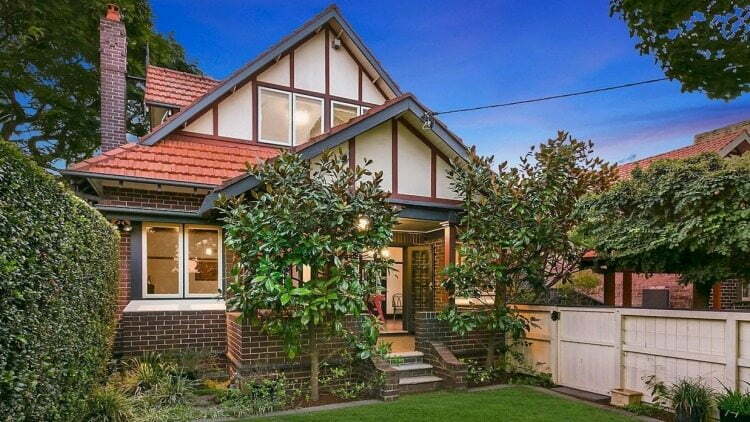 Melbourne’s median house price is well over $840,000. Our buyers advocates point out Melbourne’s top 10 cheapest suburbs. 17th of October 2017, By Mark Ribarsky. Port Melbourne hasn’t always been as glamorous as we may think. Read how Port Melbourne has become an important gem in Melbourne’s crown. 25th of October 2017, By Mark Ribarsky. Buying a property in the inner suburbs can be a difficult. WIse Real Estate Advice shares a customers expirecne with buying in Fitzroy. 9th of October 2017, By Mark Ribarsky. Wise Real Estate Advice shows us how Fitzroy is a hotspot of the inner suburbs of Melbourne and the advantages of living close to the city. 8th of October 2017, By Mark Ribarsky. Thinking of purchasing an investment property in the eastern suburbs of Melbourne? Wise shares a customer review of how a buyers agent helped. 28th of September 2017, By Mark Ribarsky. Wise Real Estate Advice, Mark Ribarsky displays 7 useful tips that ensures that we stay competitive and gain an advantage in the market. 11th of September 2017, By Mark Ribarsky. Wise Real Estate Advice shows us that wherever you look in Melbourne, there are many different and exiting cultures to experience. 29th of August 2017, By Mark Ribarsky. Wise Real Estate Advice shows us how Yarraville is the new hotspot of the Western Suburbs and the advantages of living close to the city. 15th of August 2017, By Mark Ribarsky. Wise Realestate Advice, Mark Ribarsky shows how first home buyers are able to break into the Broadmeadow market against experienced investors. 27th of August 2017, By Mark Ribarsky. With property prices increasing by 2.4 per cent in Doncaster, Wise Real Estate Advice, can help you to become a successful developer in no time..
1st of August 2017, By Mark Ribarsky. Wise Real Estate Advice looks at reasons why property investors love putting money into the worlds most liveable city, Melbourne. 28th of August 2017, By Mark Ribarsky. 17th of July 2017, By Mark Ribarsky. Wise Real Estate Advice senior buyers agent Mark look at capitalising on price surges: 6 hints to identify undervalued suburbs. 19th of June 2017, By Mark Ribarsky. Which Is More Profitable? Houses or UnitsPutting your hard-earned cash in a house on a quarter acre block, or a low-maintenance apartment? 20th of April 2017, By Mark Ribarsky.Learn from wise buyers agents as they share their successful stories on their journey in investing property in Melbroune. 2nd of April 2017, By Mark Ribarsky.Buyer’s Advocate Mark Ribarsky from Wise Real Estate Advice shares his strategies for standing out from the crowd and buy in a hot market. 17th of March 2017, By Mark Ribarsky. Attention Renters, Buyers & Investors, 2017 is a new year with numerous opportunities for your property position. Check out some strategies. 1st of March 2017, By Mark Ribarsky. 15th of February 2017, By Mark Ribarsky. 16th of January 2017, By Mark Ribarsky. A good buyer’s agent is the property investor’s secret weapon. We look at a Buyers Advocates secret weapon, finance approval. 3rd of January 2017, By Mark Ribarsky. How to save money when buying property. Wise Real Estate Advice looks at suggestions to achieving property success with the lowest possible price. December 2016, By Mark Ribarsky. Property development is no longer for the rich and wealthy, all you need is some wise real estate advice when buying your next property. November 2016, By Mark Ribarsky. Sick of the rent trap? Melbroune’s leading buyers agents give some tips on getting into the property game. The Aussie dream’s not out of reach! Buying in a ‘hot spot:’ Purchase property in a suburb before it becomes popular, Wise Real Estate Advice looks at how buyers agents do it. 5 Cost Effective Ways homeowners appeal buyer demographic. Selling your property is no doubt an emotional journey, and because your home is most likely your greatest financial asset, you need to be smart about how to appeal to future buyers. This article will give you some cost effective tips. The hidden costs of buying real estate and working out your budget involves research and careful consideration of all options. Some things to consider when transitioning from renting to owning. Before you start house hunting here are some factors you should consider. Entering the property market for the first time is an exciting and daunting time. The following tips smooth the path to get into your own home sooner, whilst reducing stress during the process. You’ve found a great property, but how do you decide the market value? Wise Real Estate Advice looks at 6 tips to help you negotiate a purchase price. If you are looking to convert your current home into an investment property Wise Real Estate Advice looks at how it’s done. This Years BBQ Stopper, Negative Gearing. Negative Gearing is back on the news headlines thanks to Labour’s proposed tax reform. Wise looks at who uses negative gearing and what our politicians claim will happen if we change the tax law. Underquoting is when a salesperson advertises a price for a property that is less than the vendor is willing to consider – in order to encourage more buyers to look at the property. A growing number of people are buying property off-the-plan as apartment buildings sprout in capital cities, so wise real estate advice points out the Dos and Dont’s to buying off the plan. Elite Agent: The Advantages Of Using A Buyers Agent. Australian News Daily Bulletin – A Gude To Maximising Rental Return. Auzzi: Sub-Division, Is It For You. Homeloans – The Impact Of Lifestyle On Property Success. Fabulous Mom Blog – What Is Negative Gearing. Mum Fuse: Interested In A Period Home? Here Are The Keys Assets. Savings Advice: Property Investing Like The Pros. Noobpreneur: Property Investing Like The Pros. Modest Money: Successful Property Development. Australian Wemon Online: Self Managed Superfunds and Property. Femail: Can’t Afford To Buy A House? Maybe You Can. The Real Estate Conversation: First Time Home Buyers: Know Your Market. Inside Small Business: Finding The Right Agent. Business View: 4 Tips For First Rime Business Owners. Real Estate View: 8 Key Auction Speak Terms Every Buyer Should Know. Smart Property Investments: Wise Real Estate Advice. Huffington Post: How To Plan Ahead Of Your Next Business Trip.